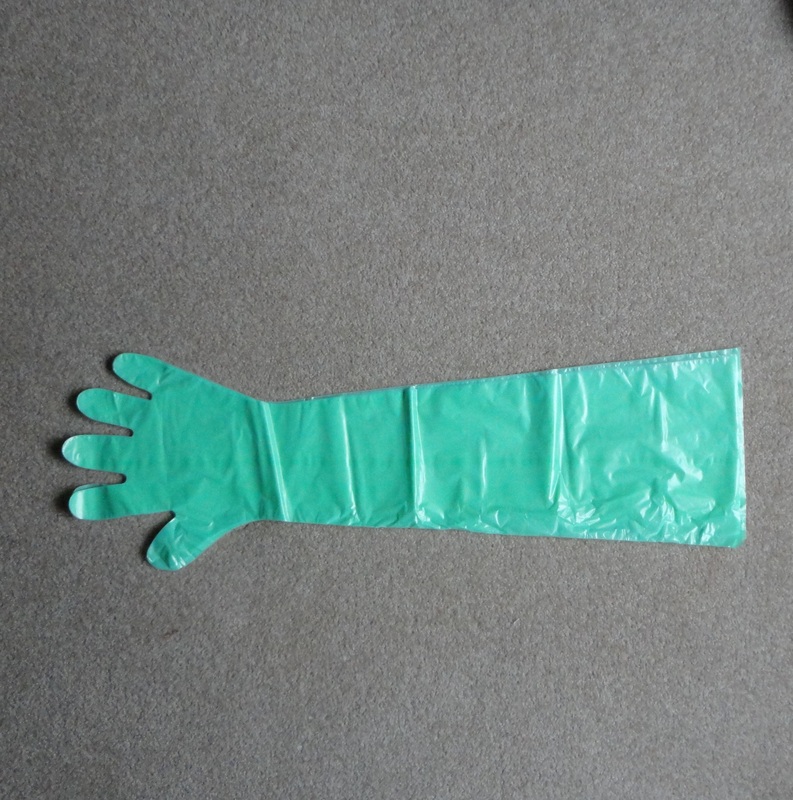 This glove is for cow insemination and large animal(cattle and horse) rectal palpation. It is made by quality PE, is 900mm long and 0.04mm thick (double layers). 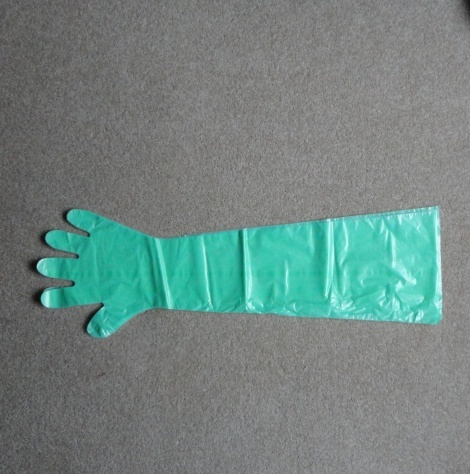 This glove is rather soft but tough.